Everyone has seen and heard the story of the maniacs, the monsters, the serial killers who dress up as clowns to spread fear and terror. But what if there was a serial killer OF clowns, terrorizing them with fear instead? From the mad mind of Jaysen P. Buterin, writer and director of the award-winning films Between Hell and a Hard Place, Don’t Let the Light In and The Corner, comes Kill Giggles – a harrowing Hitchcockian horror story that will take a timeless terror trope and turn it on its rainbow wig-covered head. With over 13 award-winning short films under his belt, Buterin felt it was finally time to face one of his worst nightmares. No… not his first feature, but rather the floppy-footed foul fiends who will be starring in it. "I'm absolutely terrified of clowns, I have been almost my whole life," says Buterin. "Conversely, I've loved movies for just as long, if not longer, so I thought what better way to exorcise the demons?” And with that, the idea of killing Giggles was born. While the cameras (and the clown heads) won't start rolling until we’ve met our fundraising goal, we’ve already put together a plethora of promotional stills, posters, teasers and trailers that we’ll be releasing throughout the year until that happy time happens. 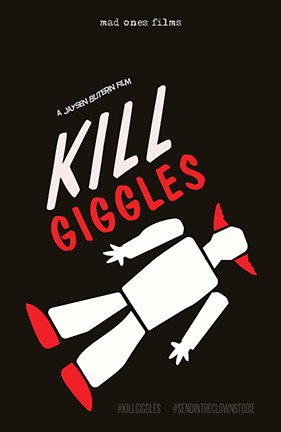 Mad Ones Films has also created "KILLING GIGGLES," a proof-of-concept extended version of the first scene of "KILL GIGGLES," to give you a cinematic sense of the look and feel of the movie we can make together. Because, while all the world may love a clown, no one ever said it had to be alive. And that's where YOU come in!!! You see, we don't care if you've got more money than you know what to do with and you HATE clowns!! It doesn’t bother us if you have fistfuls of cash and actually, for some very bizarre, LOVE clowns!!! Because either way, we want YOU to join our circus!! We’re looking for private investors to complete the first phase of our fundraising before moving on to the second phase, which will involve a massive crowdsourcing campaign. What it all boils down to is that we want to make this movie. We want to make this movie with you. And we want to make this movie NOW before anyone else gets a too-similar idea. So… let’s send in the clowns to die, shall we?? "It’s Hitchcock meets Kubrick: it’s horror, it’s thriller, it’s surreal psychological sensationalism. 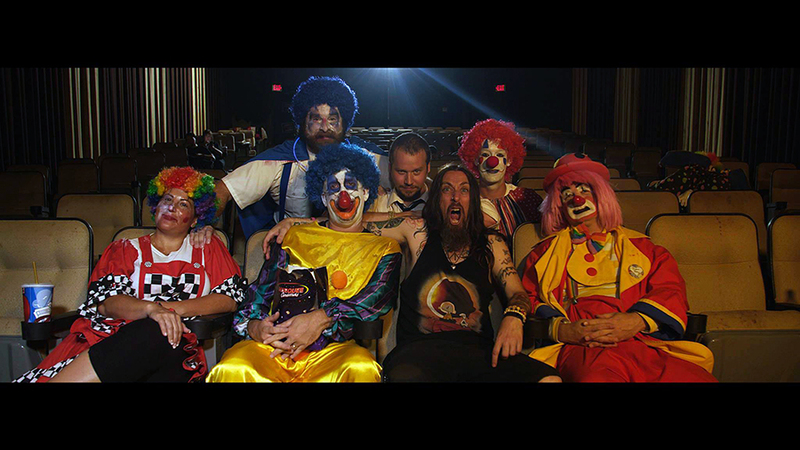 It’s the trifecta of scary movies… and all to a circus soundtrack." For more investor information on Kill Giggles, please visit the official web site at killgiggles.com/die-versify. SYNOPSIS: Tommy dos Santos wasn’t born a psychopath, really, nor was he made into a sociopath, per se. He was something entirely new, and he was walking his own path – a path that will run red with the blood of the foulest most fiendishly frightening creatures ever conceived by man… CLOWNS! No longer the madmen and monsters that nightmares are made of, it is the clowns who are the victims now, running for their lives from a killer who won’t stop until every single one of them is dead. As Tommy’s body count rises, he finds himself getting closer and closer to what he thought was a ghost, the once great clown king known as “Giggles,” and wonders… if laughter can’t die, how about Giggles? Want to keep up with all the latest screenings, projects, and other assorted craziness that the Mad Ones get into?